SET-listed Thai Vegetable Oil Plc (TVO), the producer of A-ngoon soybean cooking oil, is considering building two factories, one in Thailand and another in another Asean country, to help support its future growth. Chairman Visuth Vitayathanagorn said the company is conducting a feasibility study to set up a fourth factory in Thailand as its three factories in Nakhon Pathom are working at full capacity. Currently, TVO uses about 6,000 tonnes of soybean seeds a day to produce cooking oil. 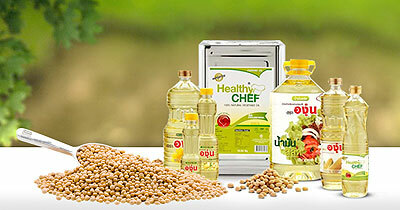 The company also plans to set up a soybean cooking oil factory in another Asean country in the near future. Myanmar is among potential countries because the consumption of vegetable cooking oil there is larger than in Thailand, while the livestock industry, which requires soybean feed, is picking up. TVO will conclude its investment plan for the new factories by the end of this year. The company estimates the fourth factory in Thailand will require at least 1 billion baht to set up. "It will be the biggest investment for TVO in its 50-year history, supporting our future growth both locally and in the Asean market," said Mr Visuth.